It’s the most wonderful time of the year… And what better way could there be than to spend it with loved ones soaking up all the experiences that this province has to offer? No doubt we have all heard the old adage that Christmas is for kids, but we’re certain that you’ll have a change of heart once you get into the festive mood with some familiar and perhaps not-so-familiar activities for the season. For just about every day leading up to Christmas, The Met has an evening of events slated for families. 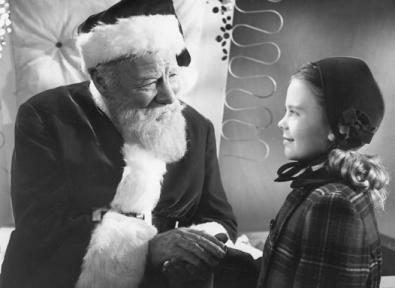 Get prepared for a journey to Christmas past with It’s a Wonderful Life on December 19, and Miracle on 34th Street on December 20 and 21. December 22 culminates the four days of events, but instead of a movie, The Met will shake things up with a holiday concert featuring Creedence Clearwater Revival Tribute Act – Travellin Band. No need to eat before you go as The Met will be serving dinner with each night’s events. A snow storm may have prevented The Huron Carole from taking place the first time around, but this Christmas story is much more perseverant than inclement weather. 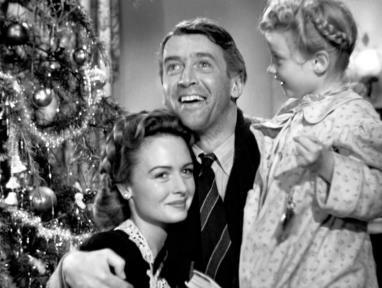 This tale touches on just about every human emotion as it follows a homeless man on his personal journey to his own little Christmas miracle. Jazz musician Laurent Roy from the University of Manitoba website. What do you get when you combine French culture, jitterbugs, jives, and a Tuesday night? Mardi Jazz with Groove R&D. This Tuesday promises to be no different with some of the best jazz artistes on the roster, including Laurent Roy, Julian Bradford, Alec Meen, Quincy Davis and Erin Propp. Pack a blanket and don’t forget your folding chair as Downtown Winnipeg Biz presents its free Winter Movie Night at the RBC Convention Centre. While the movie starts at 7 p.m., pre-movie fun for the family begins at 6 p.m. Refreshments will be on sale at the venue. They’re young, they’re gifted and they make their own music. What’s more, they’re Winnipeg’s very own pop band. These rising stars will take to the stage of the West End Cultural Centre to showcase their talents in a night of heart-throbbing hits presented by Virgin Radio. 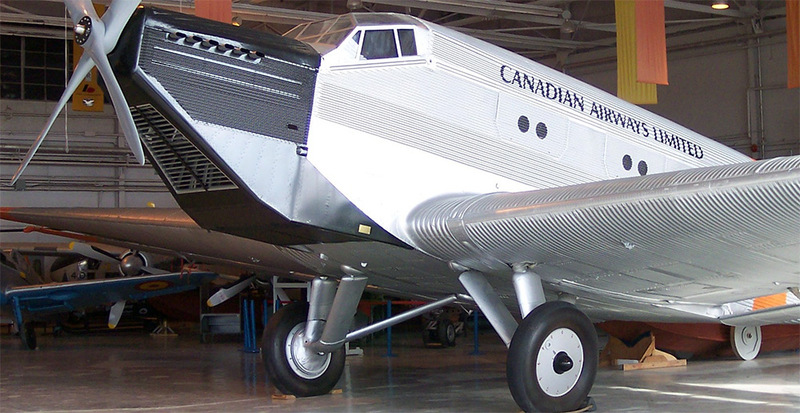 Flying boats or flying saucers, flying bikes or helicopters, if these are a few of your favourite things then the Royal Aviation Museum of Western Canada won’t be so bad a place to spend some of your downtime before Christmas. Not only will it be fun to see what the pioneers attempted to launch into the outer limits, you’ll also learn the secrets of how these mechanical wonders worked. 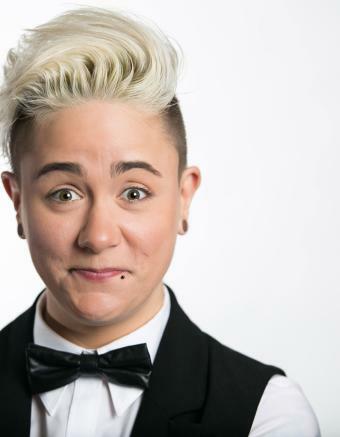 If you’re looking for a dose of laughter in the midst of all the Christmas insanity, Chantel Marostica might be just what the doctor ordered to take the edge off. This hometown girl returns to Winnipeg with her high-energy, spot-on style of comedy, at the Rumor’s Comedy Club. 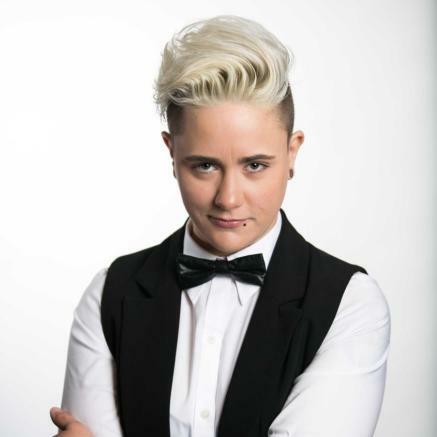 Marostica is known for her storytelling and impressions and is sure to leave her mark on you before the evening is out. Splashes of colour, wintry whites and sugarplum fairies bring us right back to the RWB’s much-loved ballet. If you’ve seen it before, or you’ve never had the good fortune, now’s your chance for a treat of wonderment, enchantment and excitement. The Royal Aviation Museum of Western Canada is ready to take you up and away with its roster of fun and educational activities for the holidays. Enjoy a reindeer visit while you make reindeer boomerangs with materials supplied by the museum. Launch them on the spot when you’re done, or keep them to hang on your Christmas tree. And of course, you can always try on a vintage aviation flight attendant, engineer or pilot’s uniform. Make it a memory by bringing along your camera for some cool pictures. Image from the Robert Lowdon Gallery website. Winnipeg-based painter Adelle Rewerts marries colour, passion and modern-day hippie culture in her works of art. Inspired by prairie landscapes, bright lights and the greys of cement, Rewerts brings that inspiration to Robert Lowdon Gallery. For those hoping to catch a glimpse of this painter’s oeuvres, December 24 will be your last chance. Christmas and treats go hand in hand, and no doubt we’ll all be swept away by the feasts and flavours wafting about. But before you sit to enjoy that toasty meal indoors, why not venture outdoors for a different kind of feast? FortWhyte Alive will host its Nordic social walk, which will leave you feeling energized and revitalized by your commune with nature. Finally! C’est Noël! And after a week packed with activities, you get to enjoy a quiet day with your loved ones…OK, maybe not so quiet. Whatever sort of day it turns out to be, we’re hoping that by now, the kid in you has emerged and you’re just as excited as the next child to open your presents and howl at the snow…or the chimney, thanking Santa for filling your Christmas wish lists. From our home to yours, we wish you a Merry Christmas full of good tidings and great joy.